Gerard is a very keen triathlete competing in various triathlons around Australia. Having recently upgraded to a 2015 Subaru WRX STI he didn’t want a bolt-on solution using the inbuilt roof rails. Then again who would! 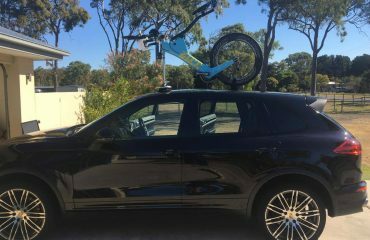 You end up with a bike rack that becomes a permanent fixture, looks very unpleasing, is very noisy and hurts your fuel economy. 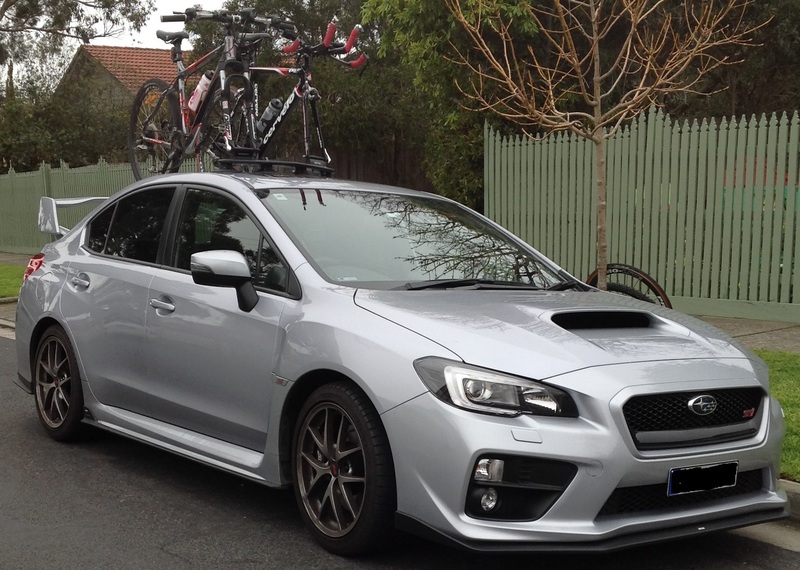 Gerard contacted the team at SeaSucker Down Under keen to try a Mini Bomber bike rack on his Subaru WRX STI. After locking in an install date with Gerard we met Gerard at his home in the South Eastern suburbs of Melbourne. As with every install, we start with a quick clean of the potential surfaces so that no dirt can get trapped as we work through the various install locations. 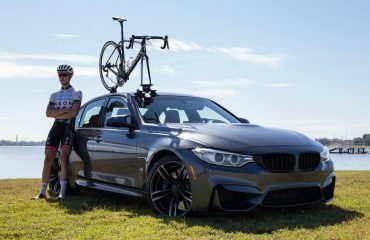 Gerard was also keen to strike a balance between maintaining visibility through the rear view mirror, being able to still use his sunroof and being able to keep an eye on his bikes whilst driving. We eventually found a good compromising by installing the Mini Bomber head unit just behind his sunroof. 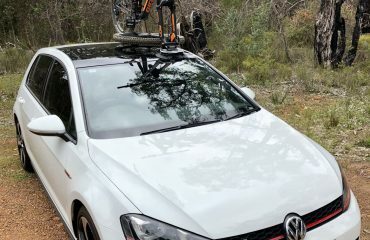 This placed the rear wheels at the very top of the rear window, giving him great visibility of the bikes whilst ensuring he could see clearly through the rear view mirror. The pictures tell the story. A very low profile install that does not look out-of-place and installs and removes in less than two minutes. The quick release fork mounts point outwards making it easier to use. The rear wheel strap location ensures Gerard can still open his boot without any obstruction. 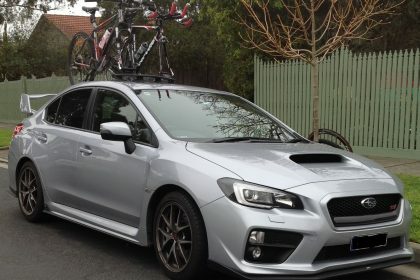 Whilst there is no such thing as a good-looking bike rack the SeaSucker Mini Bomber for the Subaru WRX STI comes close. It works flawlessly, has the lowest profile minimising the impact on fuel consumption (not that Gerard was concerned about this).